What is character arc? Simply put, it is the orchestration of events to bring about character change. No one wants to read about a flat, cardboard character. Characters must be real, human, and face struggle as we all do. But the character must change throughout the course of the story. Think about what changes you. I’ll tell you about something that changed the direction of my life. A year and a half ago, I was still making organic chocolate truffles. I had pretty much decided to stop doing that and focus more on writing. I had drafted a novel, and was pursuing publishing, having a former mentor edit the book for me. Then I went to Israel last year. I broke my wrist. As a result, that changed the direction of my life slightly to include things that I had not done before for my own spiritual development. If I were a character in a novel that would be part of my character arc–starting at a certain point, then learning and growing through various experiences, until I ended up somewhere at the end of the book. 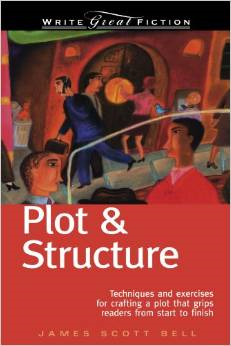 “What deepens a plot is when characters grow. Events happen and should have impact on the characters. Are there novels where the characters don’t change? Sure. But these are not usually classified as “enduring.” In a detective series, for example, the main character may remain rather static, the only change from book to book being the nature of the case.” But I believe even in that, certain subtle changes occur in the character. Last year I read a series of novels by Sally Wright, the Ben Reese series. Over the course of six books, four of them being really good, the other two, oh well, we learn about Ben Reese, a survivor of WWII, who becomes a sort of historical investigator of rare documents. Each book is a series of adventures for him, but each book changes him a bit. Our feelings for him change as we learn more about him. A classic story of character change is Charles Dickens’ Ebenezer Scrooge in “A Christmas Carol.” We see his beginning point, a lonely, although he may not know he is, curmudgeon who has no mercy or kindness. Why was that? We see him being scared out of his wits by the ghost of his partner, Jacob Marley, which sets him up for a night full of other visitations. We see Scrooge changing as a result of each spirit’s visit. 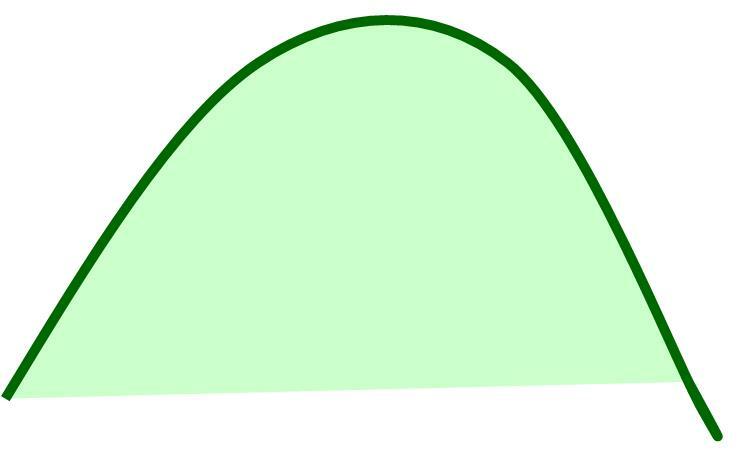 There’s a great diagram that looks like a target of concentric circles on page 144. 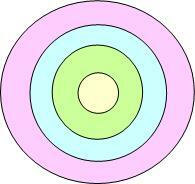 At the center is self-image, surrounded by core beliefs, surrounded by values, then dominant attitudes, then opinions. Once Scrooge sees that he could possibly die without any friends or anyone caring that he even existed, he sees he needs to change, and he does something about it on Christmas morning. How do we put this into practice? The book suggests putting together a Character-Arc Table. There are exercises at the end of the chapter to help you develop the character and their arc. These can be found on pages 150-151. In a nutshell, profile the character’s beliefs, values, dominant attitudes and opinions. Then, create events to challenge and change those. What about you? Have you had a change in recent weeks, months, or years? What precipitated those changes? Can you see where you once were compared to where you are now? Leave a comment and let me know.